General Hospital (GH) spoilers tease that the ABC soap is on the hunt for a new leading lady. According to Soap Opera Digest, the show put out a casting call for an African-American actress in her early to late 30s. This is a contract role, so it sounds like we’ll be seeing a lot of her in Port Charles. 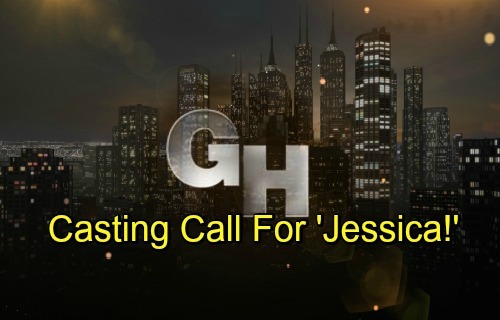 The casting call lists the character’s name as “Jessica,” which may or may not change once the character actually airs. It’s worth mentioning that Stella (Vernee Watson) reached out to someone named Chandra in June. She seemed anxious to play matchmaker between Curtis (Donnell Turner) and their old friend. Chandra could easily be Curtis’ former flame, so she’ll undoubtedly enter the picture and stir up trouble eventually. “Jessica” could become Chandra once she arrives, but the timing may not really line up for that. The actress who scores the role of “Jessica” is set to start shooting in August, so it’ll be a little while before she shows up in town. It’s possible GH will wait that long on Chandra, but there’s also a chance this is someone else entirely. If Stella’s plan fails, she might set Curtis up with some other hot gal in PC. She’s always keeping an eye out for eligible bachelorettes! Even if the “Jurtis” wedding is a success, Stella wouldn’t let a marriage stop her from playing Cupid. Then again, “Jessica” might hook up with Chase (Josh Swickard) or some other hunk on canvas. Whatever the case, General Hospital spoilers say “Jessica” will be the total package. The casting call describes her as “strong, smart & savvy.” It also notes that she’s “beautiful & dynamic,” so they’re hitting all the right buzz words for a soap newbie. The last part of the casting call is especially intriguing. GH fans can expect someone who “plays both sides of the law.” That’s certainly something Curtis does on any given day, so he might be drawn to “Jessica” sooner or later. A love triangle could be coming up. Of course, we should also consider the possibility that Vinessa Antoine is exiting the role of Jordan. There hasn’t been any gossip about that yet, but this description would fit for a Jordan recast. General Hospital spoilers hint that more departures could be in the works, so it’s worth mulling over. Regardless, someone new and lovely should be gracing our screens in the near future. We’ll give you updates as other GH news comes in. Stay tuned to the ABC soap and don’t forget to check CDL often for the latest General Hospital spoilers, updates and news.